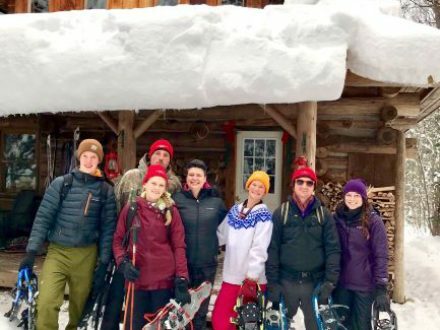 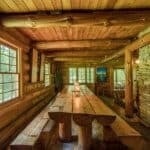 The Algonquin Log Cabin features lodge-based canoe, hiking and wildlife interpretation trips in the summer and dogsled, ski and snowshoe adventures in the winter. 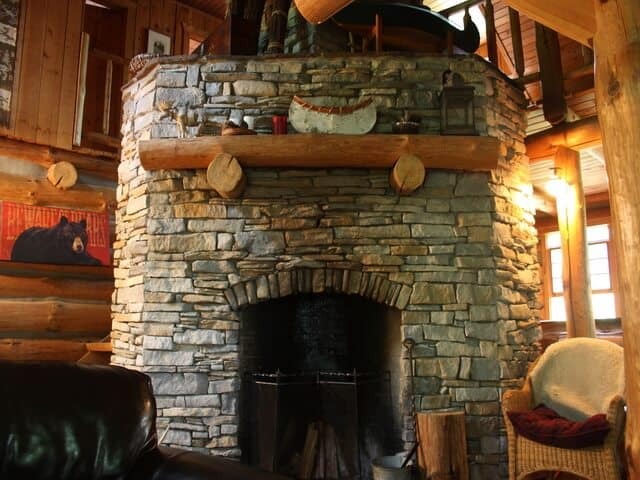 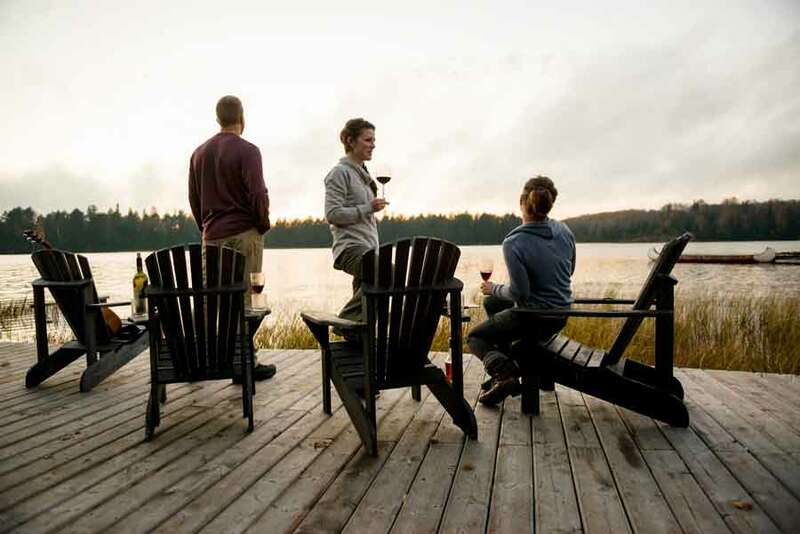 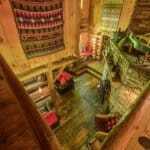 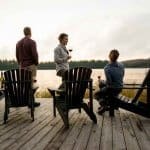 Located on Surprise Lake, 8km from the northwest corner of Algonquin Park, the Algonquin Log Cabin Lodge features the warmth of an authentic log cabin in a spectacular wilderness setting. 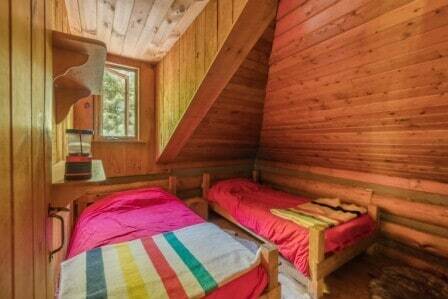 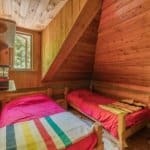 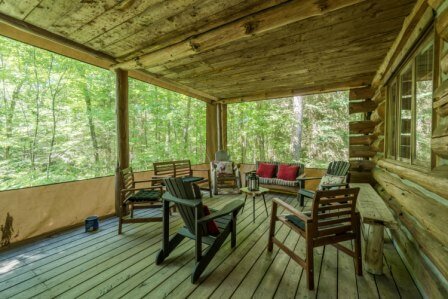 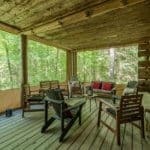 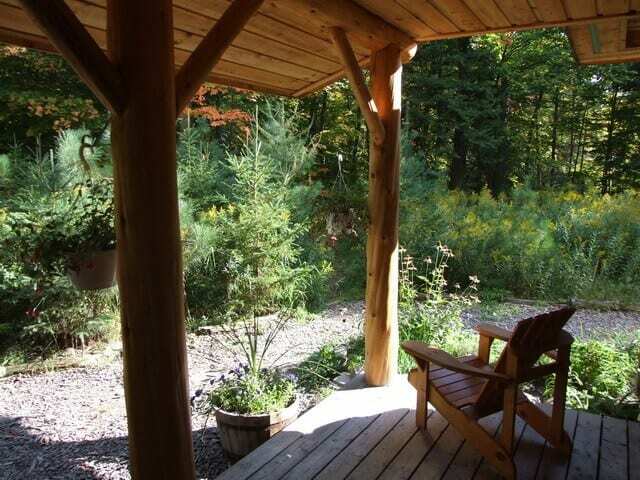 The log cabin is ideal for those people looking for an Algonquin Park active and fun adventure with a comfortable bed at the end of the day. 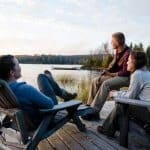 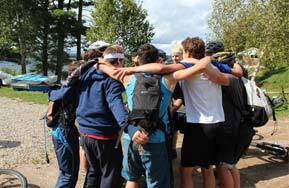 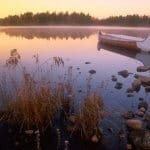 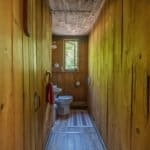 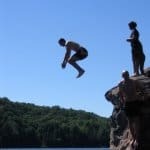 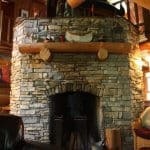 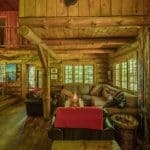 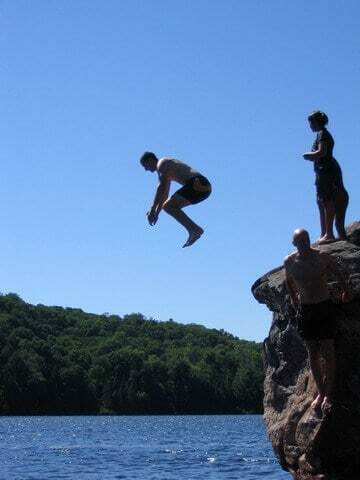 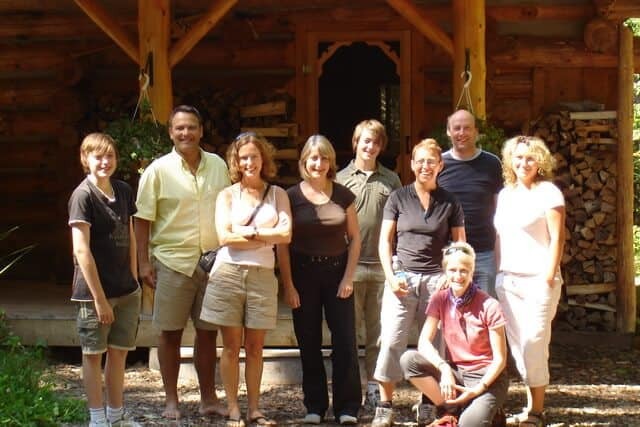 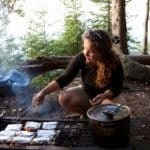 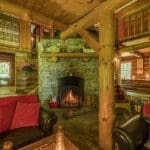 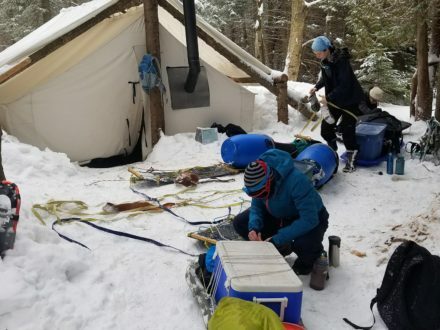 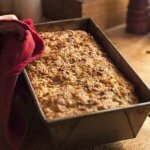 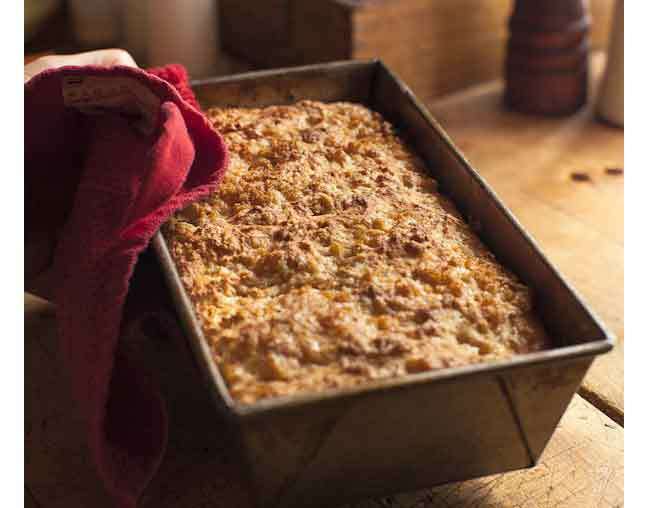 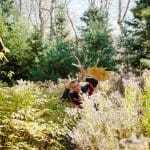 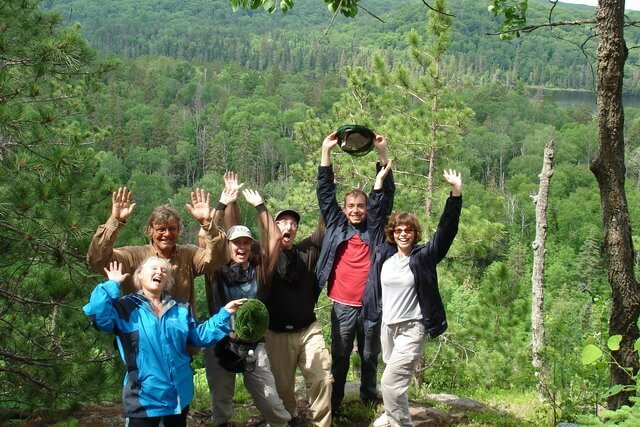 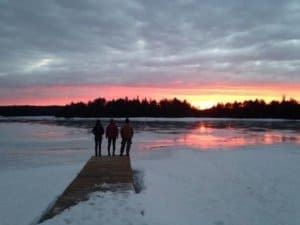 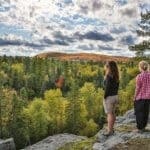 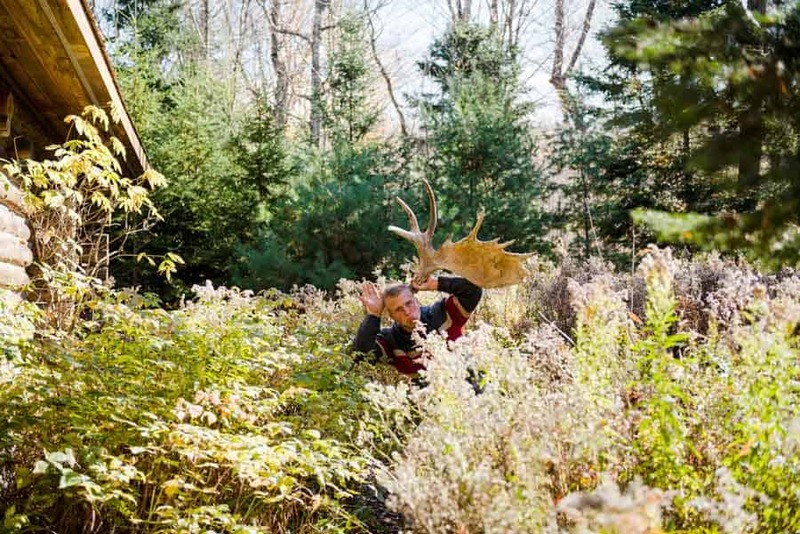 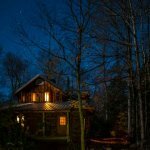 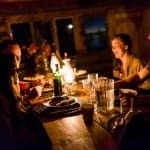 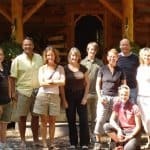 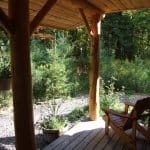 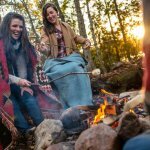 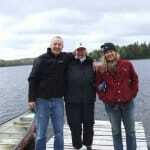 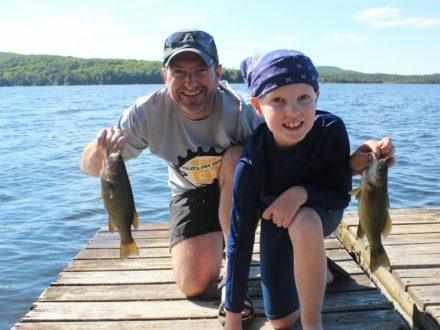 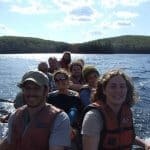 The unique aspect of a 3 day Algonquin Log cabin adventure is the award winning guided program and home cooked local cuisine. 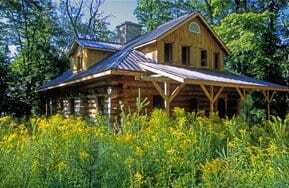 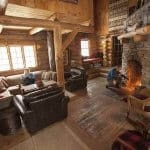 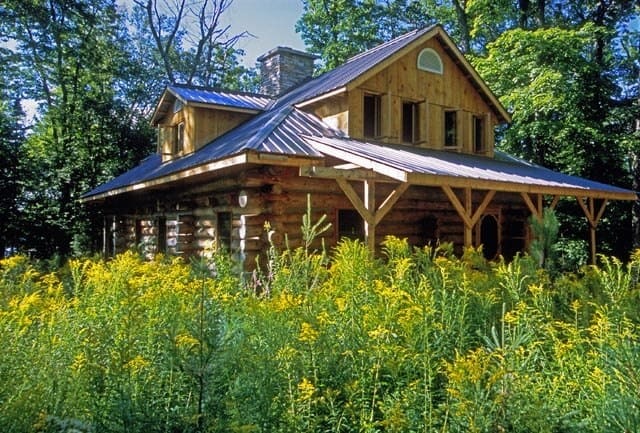 With just 6 bedrooms, our Algonquin Log Cabin sleeps just 12 people. 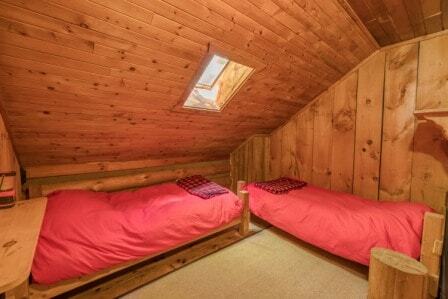 Our Pinecroft can sleep 4-6 people. 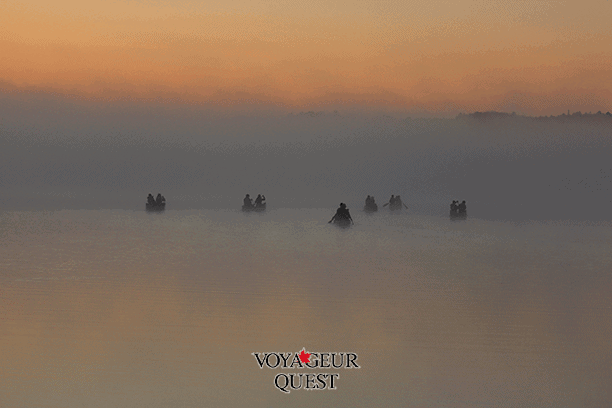 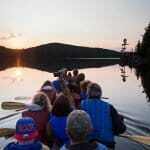 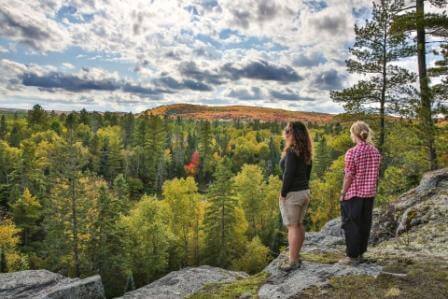 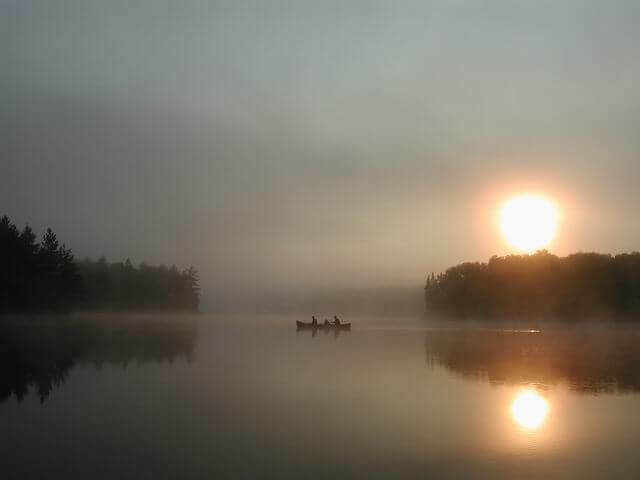 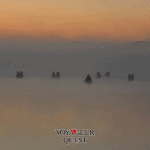 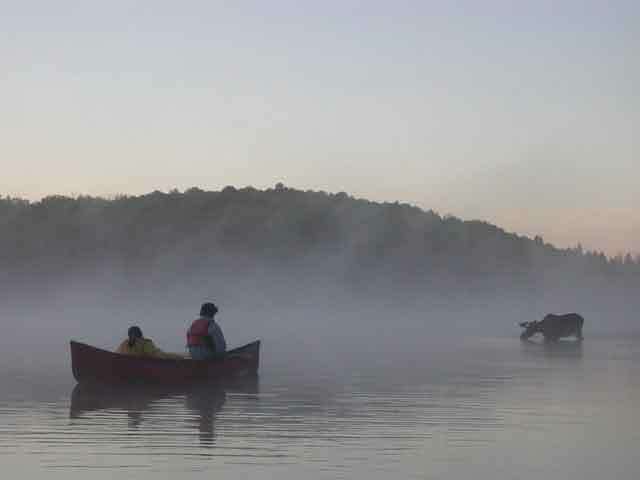 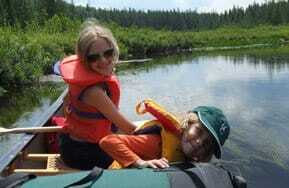 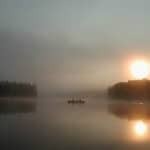 This makes for an ideal small group to canoe through the mist to look for moose or hike to forest lookouts. 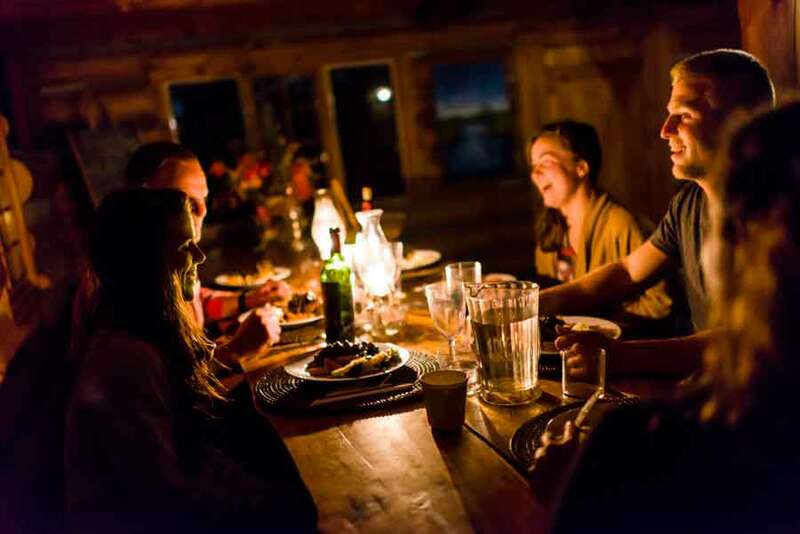 Our Harvest dining room table, lit by candle light and kerosene lanterns, provides an intimate warm environment to feast on delicious home made meals and talk about the days adventure. 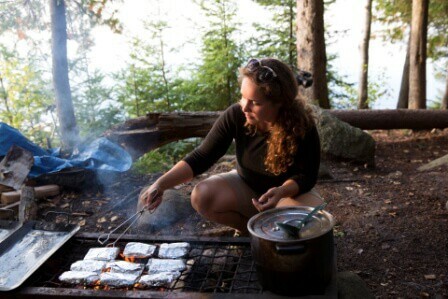 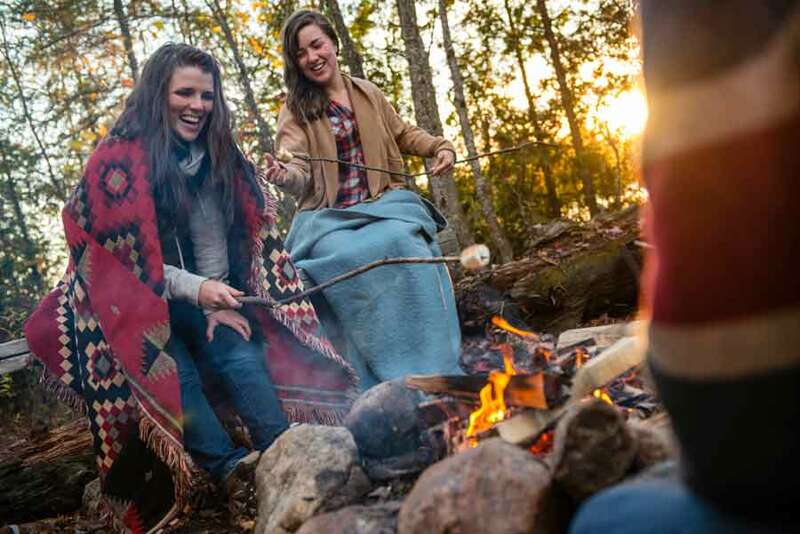 3 day trips are all inclusive of meals and the incredible guided program packed with unique excursions, including sunrise canoe excursions and our legendary bonfire dinners with local fish and vegetables cooked over an open fire. 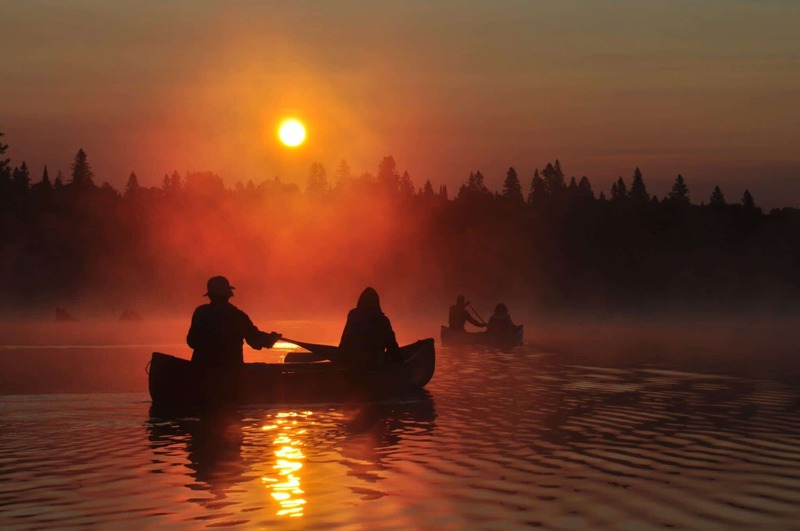 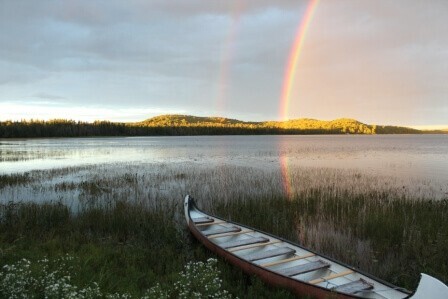 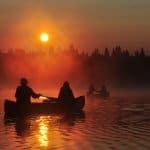 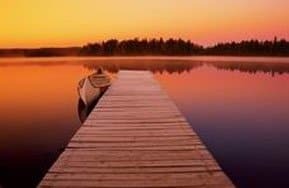 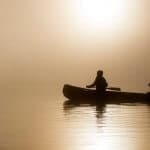 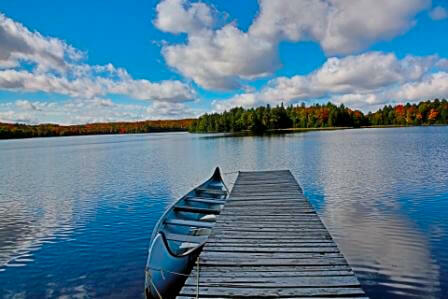 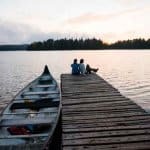 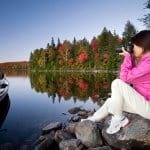 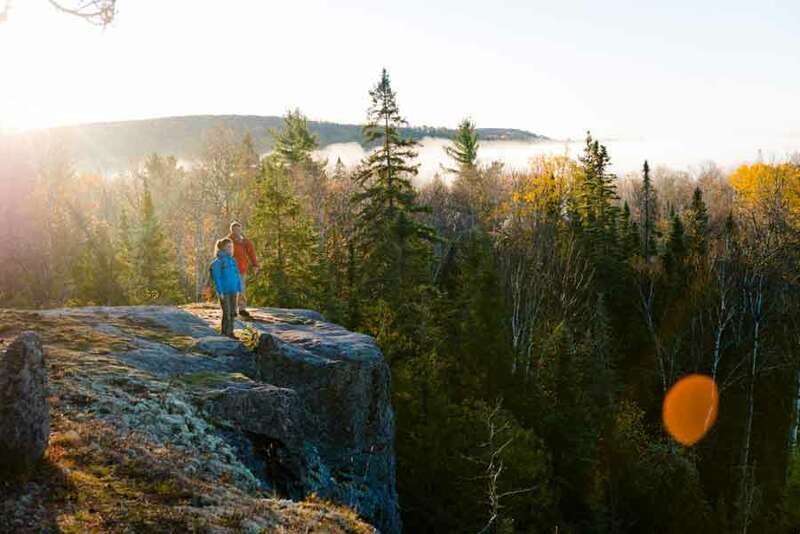 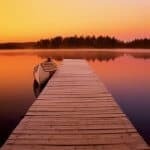 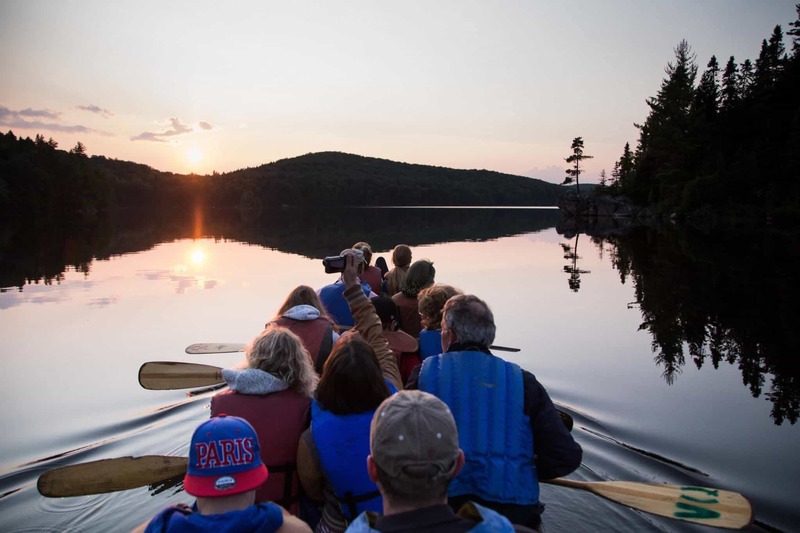 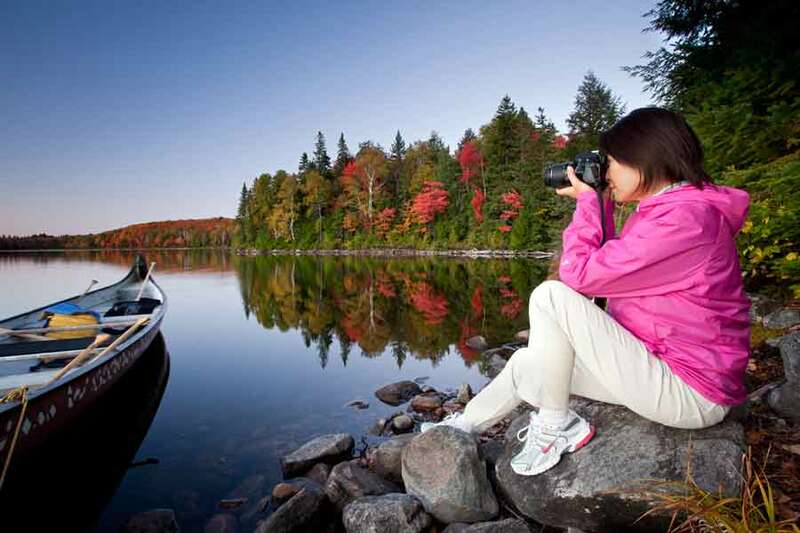 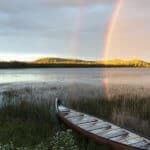 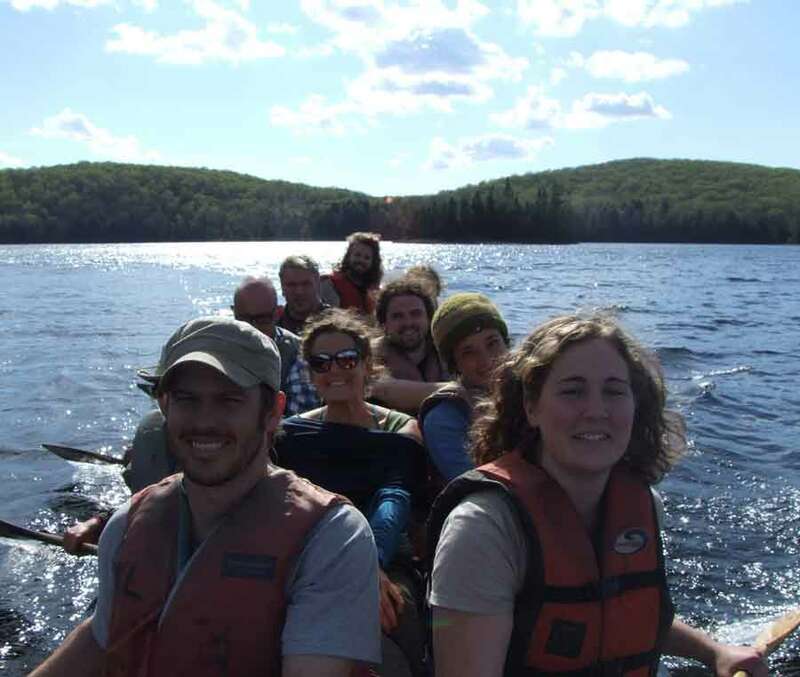 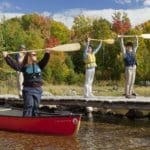 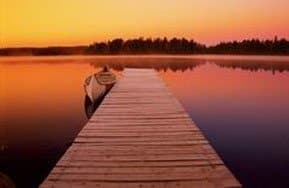 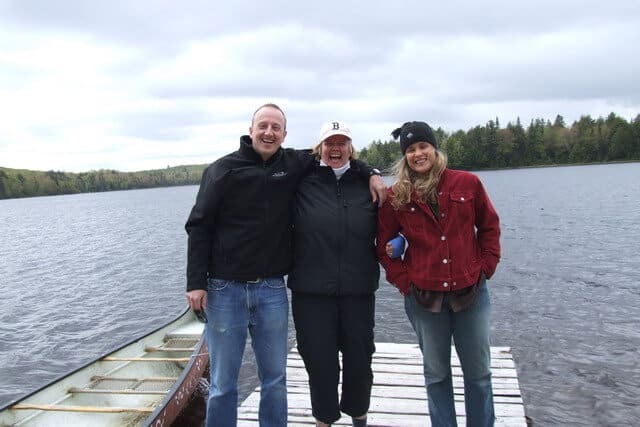 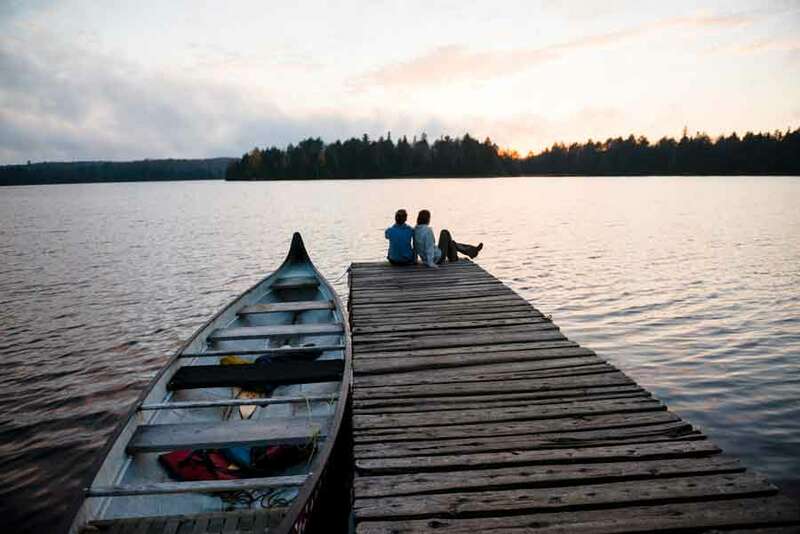 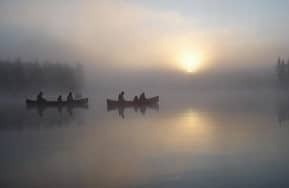 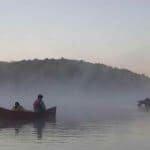 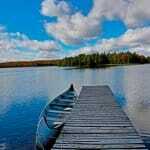 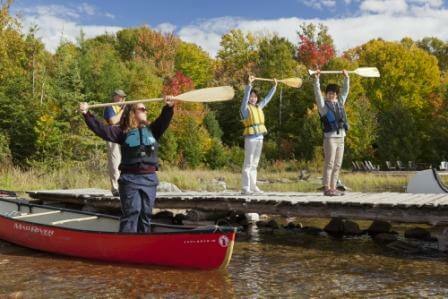 The 5 day Canoe and Algonquin Log Cabin is listed as one of Canada’s best”signature experiences” and features a 3 day canoe trip followed by 2 nights at the cabin. 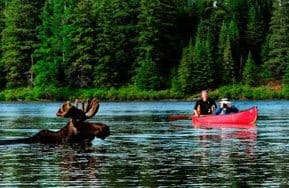 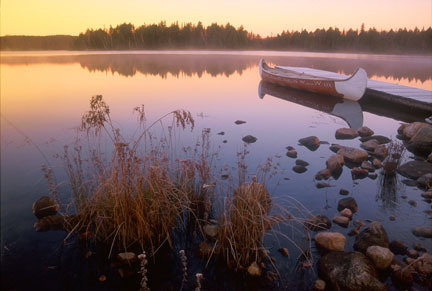 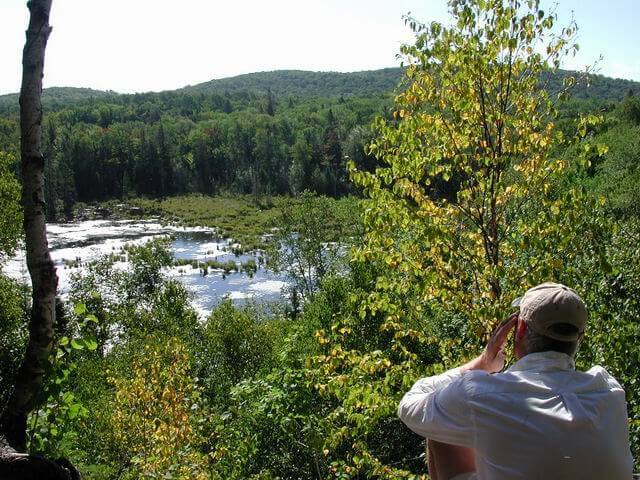 Dip your paddle in the fresh water, hike the less traveled trails, listen to the uninterrupted sounds of Algonquin, and relax in the comfort of this unique lodge. 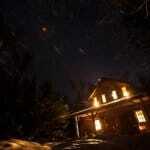 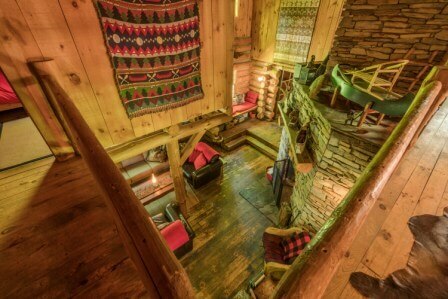 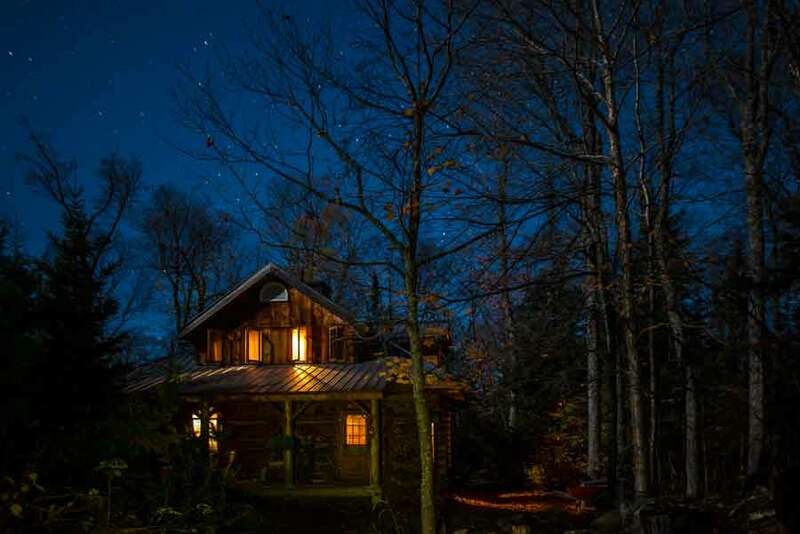 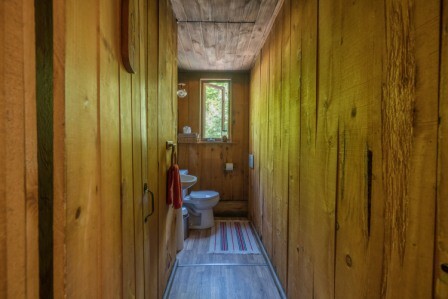 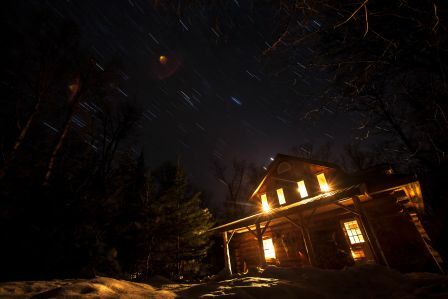 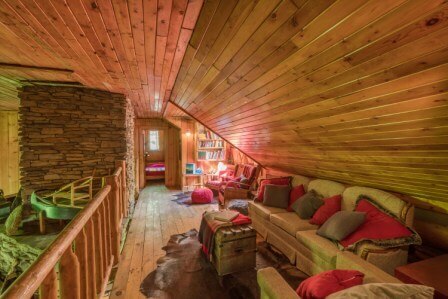 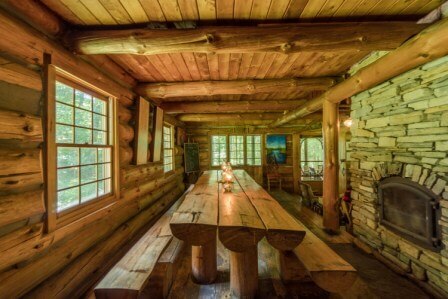 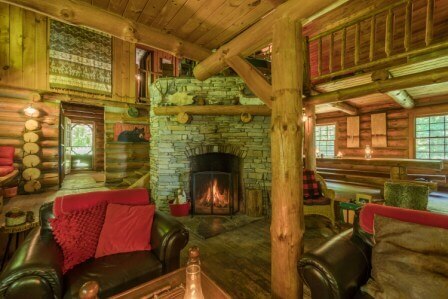 Located off the grid, the Algonquin Log Cabin does not have electricity, increasing its cozy and unique character. 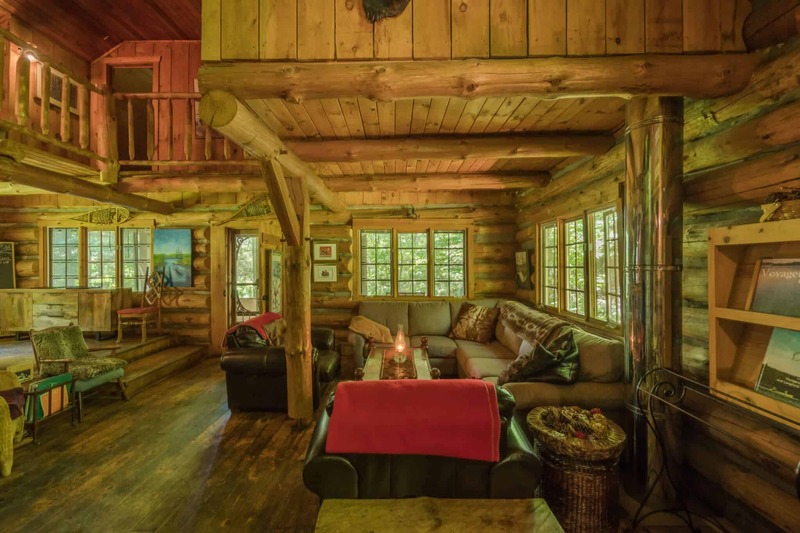 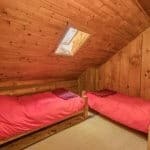 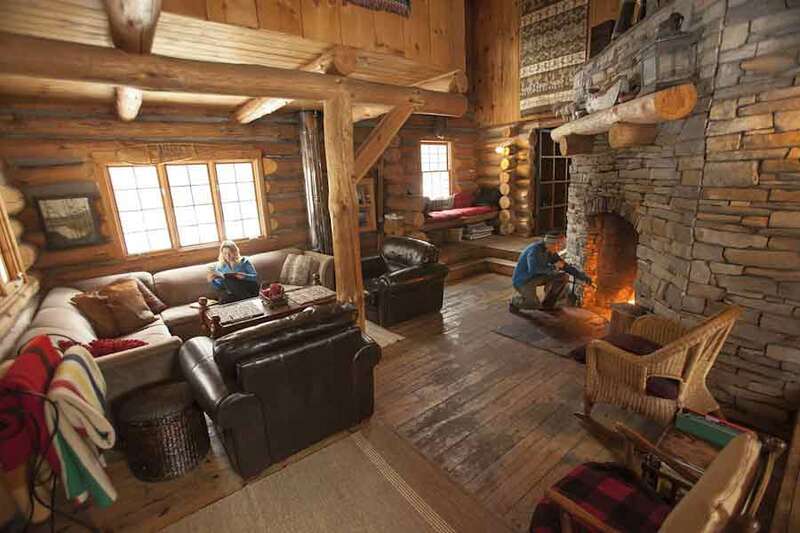 Designed with adventure and comfort in mind, the Log Cabin features 6 bedrooms which share two washrooms and a massive 12 metre stone fireplace. 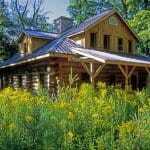 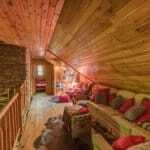 For pictures of the log cabin – visit the gallery. 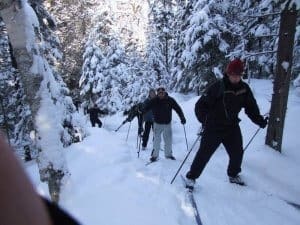 A fantastic winter team !